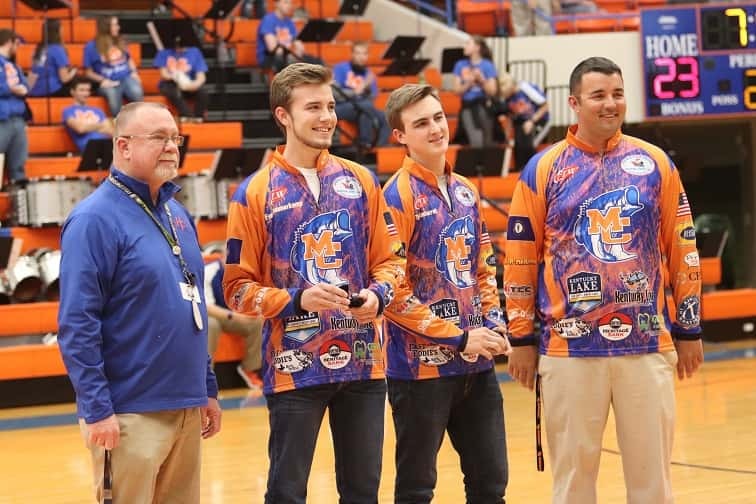 Evan Bremmerkamp and Tristan Barrett were presented with their KHSAA Bass Fishing State Championship rings Tuesday. Pictured (L-R) Athletic Director Mike Johnson, Evan Bremmerkamp, Tristan Barrett and Coach Nicholas Binns. 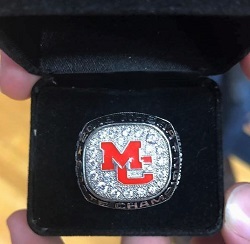 Marshall County High School’s 2018 KHSAA Bass Fishing State Champions, Evan Bremmerkamp and Tristan Barrett, were presented with their state championship rings by Coach Nicholas Binns and Athletic Director Mike Johnson during Tuesday’s home game. Last May, the duo won the state title on Kentucky Lake over 2,200 anglers in the Commonwealth of Kentucky with a 2-day total weight of 27-11.